Today is the official first day of March Madness 2015. It’s also Thursday — #throwbackthursday. And Duke great, Bobby Hurley, is back in the tournament, this time as a coach of the Buffalo Bulls men’s basketball team. A few years ago I was on a magazine assignment and had the honor to talk with former Duke great, Bobby Hurley, the NCAA’s all-time leader in assists and a key member of Coach Mike Krzyzewski’s back-to-back NCAA Championship teams in 1991 and 1992, along with Christian Laettner and Grant Hill. 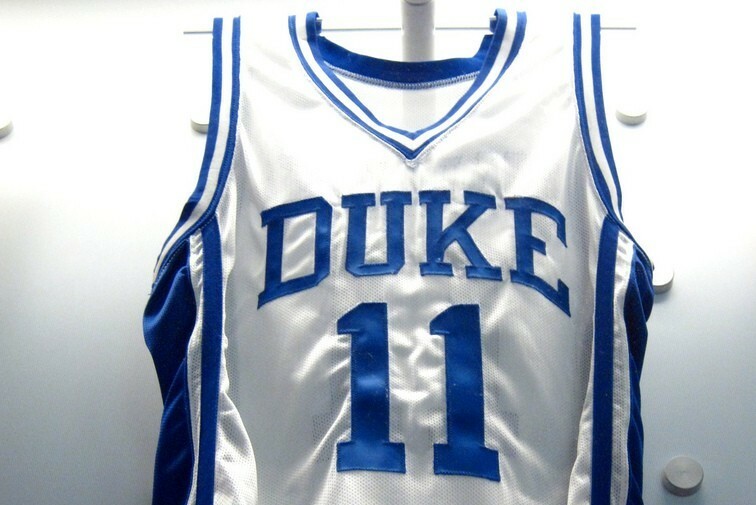 In the latter campaign, in which Duke stomped Michigan’s Fab Five 71-51, Hurley was named Most Outstanding Player of the NCAA Basketball Tournament, the college equivalent of the NBA Finals’ Most Valuable Player award. Hurley would go on to the NBA, where he was selected with the seventh pick by the Sacramento Kings in the 1993 NBA Draft. In December, shortly after his rookie season began, Hurley was traveling home after a game when his truck was rammed by a house painting truck. Hurley, not wearing a seatbelt at the time of the accident, was thrown from his vehicle, sustaining severe life-threatening injuries. His teammate, Mike Peplowski, was the first to arrive on the scene five minutes later. It would save his life. Doctor’s said had it not been for Hurley’s athletic conditioning as a professional athlete and Peplowski arriving when he did, he would have most likely died at the scene. But perhaps my favorite part of the interview had absolutely nothing to do with basketball. It’s a question I asked near the end of my interview with Bobby Hurley, even though I had already gone many minutes over my allotted time. I asked for words of wisdom for a first time dad. That dad was me. My wife was pregnant at the time with our first child, Annabelle. The question caught Hurley off guard a little, as witnessed by his laugh. The advice, however, was spot on. You can watch the entire video interview below. As for this year’s tournament, best of luck to Bobby Hurley’s Buffalo Bulls as they look for the upset on the road to the Final Four. Their first round matchup is against the West Virginia Mountaineers, Friday, March 20, at 2:10 PM Eastern. (Watch every game live) They have a heck of a coach behind them and an even better person from what I gathered during my interview. I think you would agree. If you enjoyed this blog post, consider subscribing to receive notifications of new posts by email. No spam, ever.